The book includes recipes for rolled sugar, chocolate and gingerbread cookies and making royal icing. The authors offer great tips for coloring dough and adding dimension to cookies. 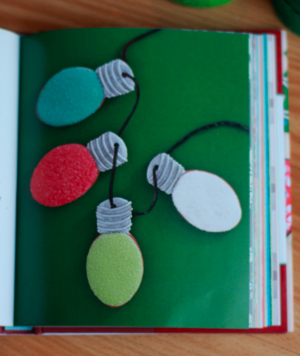 The bulk of the book is made up of a series of cookie designs each accompanied with directions for recreating each one. It also includes helpful tips for preparing and rolling even cookie dough using thin pieces of wood called “cookie slats” and freezing undecorated cookies. 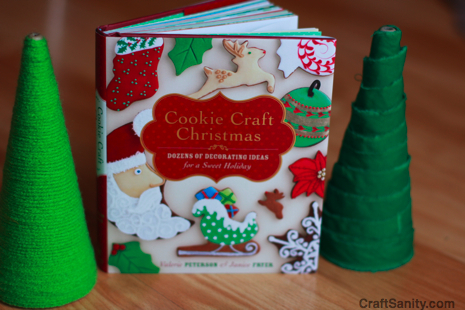 Check out this book for some yummy holiday inspiration. 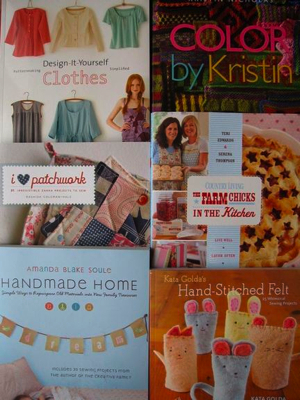 Read about six more craft books to add to your wish list, or buy as last-minute gifts for the crafters in your life on my newspaper blog. The books I mentioned are pictured above. I’ll be mentioning more noteworthy books on the blog soon. Okay, I better get back to work. I have an insane amount of holiday crafting to do before the big day. How is your last-minute crafting going? wonderful points altogether, you just won a emblem new reader. What would you recommend in regards to your submit that you just made some days ago? Any positive? Spot on with this write-up, I actually assume this web site wants way more consideration. I’ll in all probability be once more to read much more, thanks for that info.